The water corridor that defines southeast Michigan sits at the heart of the world’s largest freshwater ecosystem, the Great Lakes. Over forty-three trillion gallons of water a year flow through the Detroit River, providing a natural conduit for everything from fish migration to the movement of cargo-bearing one thousand–foot freighters, and a defining sense of place. But in both government policies and individual practices, the freshwater at the heart of the lakes was long neglected and sometimes abused. Today southeast Michigan enjoys an opportunity to learn from that history and put freshwater at the center of a prosperous and sustainable future. 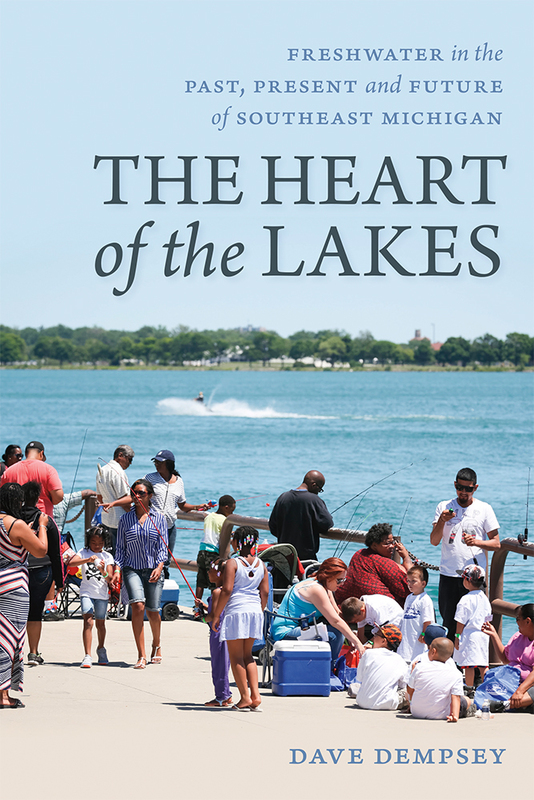 Joining this journey downriver in place and time, from Port Huron to Monroe, from the 1600s to the present, provides insight and hope for the region’s water-based renaissance. Dave Dempsey is the author and coauthor of eight nonfiction books and was named Michigan Author of the Year by the Michigan Library Association and the Michigan Center for the Book in 2009.